ZEBEDEE (GB) (Grey 2008-Stud Ire. 2011, Aust. 2015). 6 wins at 2, Doncaster Flying Childers S., Gr.2. 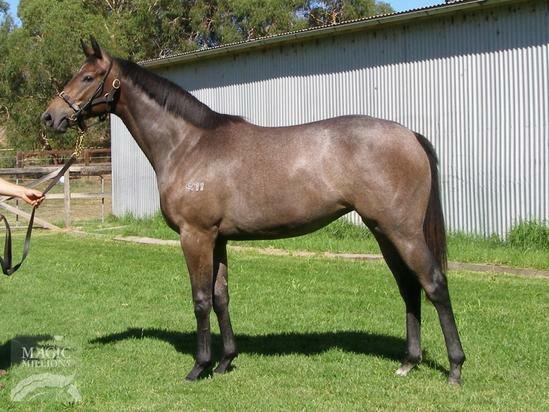 Three-quarter-brother to SW Citron Spirit. Sire of 342 rnrs, 199 wnrs, inc. SW Magical Memory (York Duke of York S., Gr.2), Ivawood, Barraquero, Dee Dee d'Or, SP Beautiful Vintage, Manaafidh, Parsley, Charline Royale, Ghost Serge, Smokey Lane, Desilva, North Ireland and of Diamond Dougal, Two Shots of Happy, Zeeyalater, Zebgrey, Bapak Asmara, etc. His oldest Aust.-bred progeny are yearlings. Another Diamond (f. by Mint Lane). 5 wins to 1200m, A$151,500, to 2017-18, MVRC Inglis 55 Second Challenge Heat 3 H., 2d SAJC Ubet 3YO P., 3d MVRC Total Collision Repairs H.
Classic King (g. by Decanter). 7 wins to 1200m to 2017 in Malaysia. La Bella Barossa (f. by Decanter). 2 wins at 1200m in Aust. Royal Katsu (g. by Snitzel). 2 wins at 1000m, 1700m in Aust. RUSTIC DREAM (Rustic Amber). 9 wins-2 at 2-from 1200m to 1600m, A$789,510, VATC Futurity S., Gr.1, MVRC Waterford Crystal Mile H., Gr.2, SAJC Tokyo City Cup, Gr.3, VATC Victoria H., Gr.3, VRC Spring Classics Preview H., L, MVRC Strathayr H., VATC Aquanita H., 2d VATC Toorak H., Gr.1, VRC Blamey S., Gr.2, Gibson Carmichael S., L, Poseidon S., L, Sutcliffe S., L, MVRC Silver Bowl Final, VRC Dulcify H., 3d VATC JJ Liston S., Gr.2, St George S., Gr.2, SAJC Sires' Produce S., Gr.3, MVRC Wedgwood Tableware H., VATC Snowhite Cleaning H., Woorak H., Emerald Isle H., 4th AJC All Aged S., Gr.1, STC George Ryder S., Gr.1, Kilmore Cup, L.
Kravitz (Revoque). 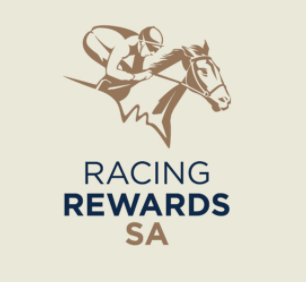 6 wins from 1500m to 2100m, TRC Marsh Insurance Brokers H., TTC Racing Employs Tasmanians H., Shaw Contracting H., 2d SAJC Port Adelaide Guineas, L, 4th Geelong RC Derby Trial S., L.
Disagree. 3 wins to 1200m, 3d SAJC Allan Horn Memorial H.
Rich Boy. 7 wins at 1400m, 1500m in Macau. ACADEMY ROAD (Mr Leader). 2 wins at 9f, Santa Anita La Puente S., L, 3d Hollywood Park Will Rogers H., Gr.3. WINDS OF THOUGHT (Hail to Reason). 9 wins-1 at 2, US$211,400, Hollywood Park Century H., Gr.1, 3d Hollywood Park Lakeside H., Gr.2. Sire. ELEGANT AIR (Shirley Heights). 6 wins-3 at 2-at 7f, 1¼m, Curragh Tattersalls Gold Cup, Gr.2, Newbury Horris Hill S., Gr.3, Sandown Westbury S., Gr.3, Newmarket Bernard Van Cutsem 2YO S., Redcar Andy Capp H., 2d Goodwood Lanson Champagne S., L, 3d Baden-Baden Furstenberg Rennen, Gr.3, 4th Curragh National S., Gr.2. Sire. ADELAIDE (Galileo). 4 wins-1 at 2-from 1600m to 2050m, £43,140, €95,885, US$527,000, A$1,925,000, MVRC WS Cox P., Gr.1, Arlington Park Secretariat S., Gr.1, Curragh Gallinule S., Gr.3, 2d Belmont Derby, Gr.1, Longchamp Prix Hocquart, Gr.2, Royal Ascot King Edward VII S., Gr.2, 3d Longchamp Prix Niel, Gr.2. FREEDOM (Second Empire). 4 wins at 1600m, €78,900 in Germany, Preis des Casino Baden-Baden, L, Henkel Trial Düsseldorfer Stutenpreis, L. Producer. (LORD) FANDANGO (Lord of England). 5 wins from 2000m to 2450m, £9,788, A$499,200, to 2017-18 in GB and Aust, MRC Herbert Power S., Gr.2, Benalla Cup, 3d MRC TS Carlyon Cup, Gr.3, 4th MRC Caulfield Cup, Gr.1. MABAIT (Kyllachy). 9 wins-1 at 2-from 6f to 8¼f, £144,736, 12,880Dhs, Pontefract Pomfret S., L, 3d Istanbul Topkapi Trophy, Gr.2. LAURIE BEGONE (St Jovite). Winner at 8½f, Colonial Downs Brookmeade S., L. Producer. SISTER GINGER (Student Council). 6 wins-1 at 2-at 1m, 8½f, US$336,966, Indiana Grand S., L, Oaklawn Park Martha Washington S., L.
SEVEN AND WISER (Candi's Gold). 8 wins-1 at 2-from 6f to 1m, Northlands Park Alberta Breeders' H., L.
SMILE OF FORTUNE (Graustark). 3 wins, Sandown Select Open Hurdle, L, 2d Newbury Greenham Group H. Hurdle, L.
PALACE MARCH (Cure the Blues). 11 wins-1 at 2, US$638,136, Ak-Sar-Ben Cornhusker H., Gr.2, Woodbine Dominion Day H., Gr.3, Canterbury Breeders' Cup H., L, 2d Aqueduct Assault H., Gr.3, Grey Lag H., Gr.3, 3d Aqueduct Gallant Fox H., Gr.2, 4th Aqueduct Discovery H., Gr.3. Sire. EXECUTIVE PRIDE (General Assembly). 4 wins-3 at 2, US$215,521, Leopardstown Ardenode Stud S., L, 2d Hollywood Derby, Gr.1. Sire. REBEL REBEL (Revoque). 5 wins-2 at 2-at 7f, 1m, £100,535, €13,201, US$396,760, Belmont Poker H., Gr.3, 2d The Two Thousand Guineas, Gr.1, Woodbine Mile S., Gr.1, 3d Colonial Downs Virginia Derby, Gr.3. HALICARNASSUS (Cape Cross). 10 wins-2 at 2-from 1400m to 2500m, £527,022, €29,519, 1,082,840Dhs in GB, Turkey and U.A.E, Istanbul Bosphorus Cup, Gr.2, Newmarket Superlative S., Gr.2, Haydock Rose of Lancaster S., Gr.3, Newbury Arc Trial S., Gr.3, Goodwood Cocked Hat S., L, 2d York Strensall S., Gr.3, 3d Goodwood Glorious S., Gr.3, Newbury Greenham S., Gr.3. Sire. GRAPHIC (Excellent Art). 9 wins-2 at 2-from 1400m to 1750m, £158,082, €48,000, Maisons-Laffitte Prix Messidor, Gr.3, Doncaster Mile, L, 2d Epsom Diomed S., Gr.3, Ascot Paradise S., L.
BURKE'S ROCK (Cape Cross). 4 wins at 1m, 8¼f, Goodwood Conqueror S., L, 2d Lingfield Fleur de Lys S., L. Producer. LADY OLIVIA (Silver Deputy). 2 wins at 5½f, 8½f, Colonial Downs Brookmeade S., L.